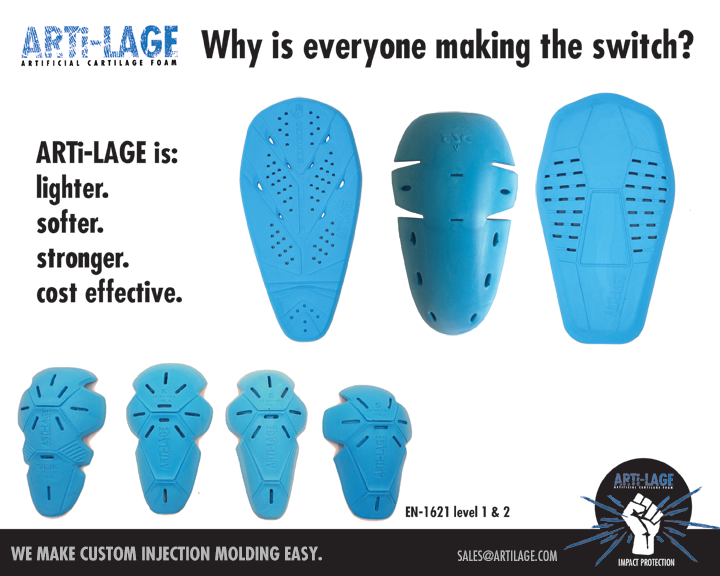 Artilage (Artificial Cartilage Foam) can be injection molded into any unique shape for the ultimate impact protection. 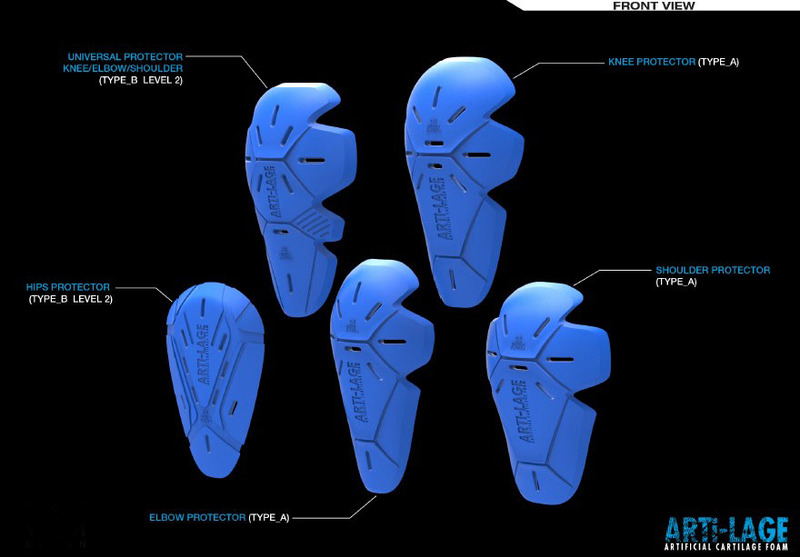 You can use our pre existing Artilage branded pads such as CE level 1 and 2 back protectors, knee pads, hip pads, elbow pad impact protectors or you can design your own oem custom product with your logo on it. 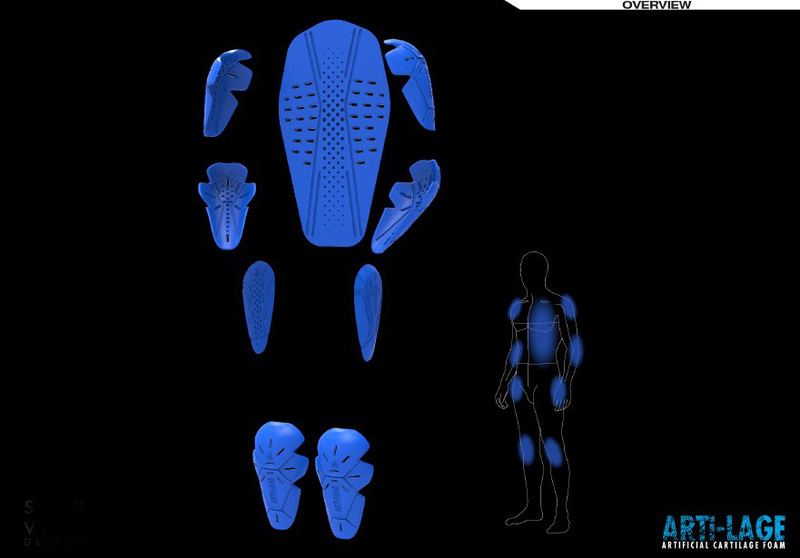 Low minimums and development costs make Artilage the perfect solution!